Wall mount for your iPad with digital pin lock and docking charger. 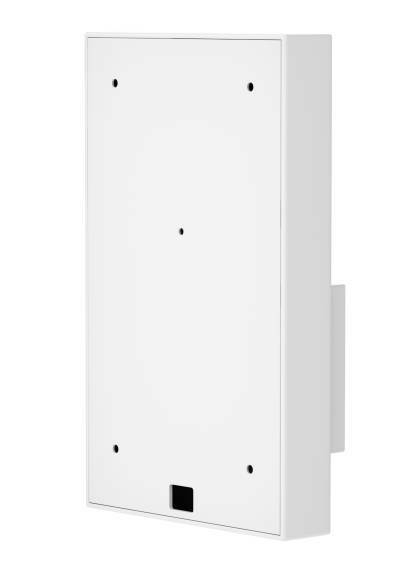 The iTop Locker iPad wall mount is entirely made from steel (zincor) and finished with durable powder coating. Available in various colors. Your iPad also remains fully functional and can be used when docked. 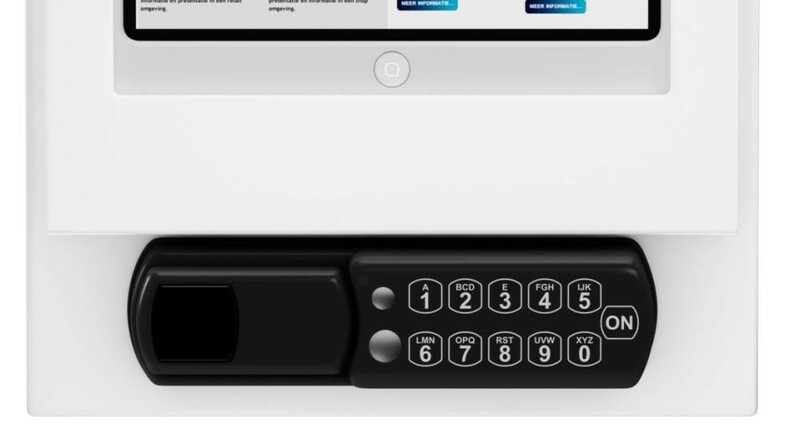 Your iPad is safely secured in the iTop Locker. The lock opens after entering a 4 digit pin code, that can be changed after each use. To remove the Ipad, simply tilt the holder towards you. After use, simply repeat the sequence in reverse order to safely secure the Ipad again. When secured in the locker, the iPad is charging and fully operational for use. . The lock is provided with a standard 4 digit code that can be changed by the user each time the lock is used. For additional security, 2 fixed 6 digit master codes can be determined. The combination lock is powered by a 9 Volt battery, with a battery lifespan of up to15,000 openings. For constant protection, your iPad can be fitted with a silicone cover (available in various colors). The wall mount is designed to fit the Ipad with the optional cover. The iTop Locker is easily wall mounted with 4 bolts/screws. The power supply cable passes through the rear of the enclosure into the wall. 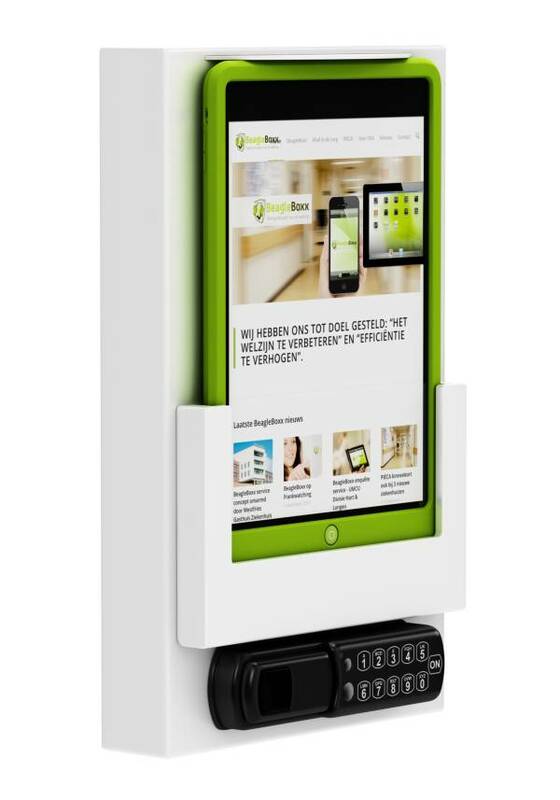 Villa ProCtrl developed the iTop Locker is in partnership with BeagleBoxx for the specific use of iPads in hospitals. Read more on BeagleBoxx’s website to learn about the unique concept developed for iPad rentals in hospitals. 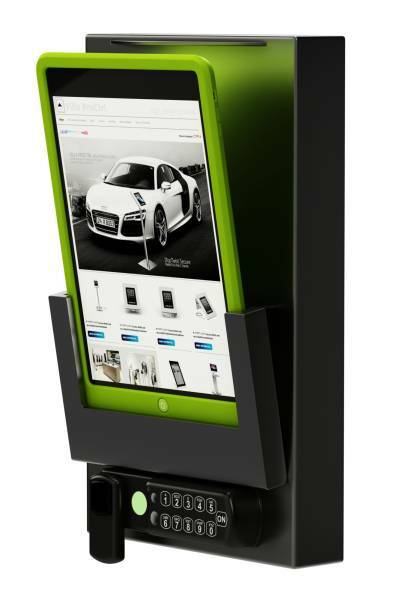 The iTop Locker iPad wall mount is also a great fit for applications in retail, hospitality, fitness and other commercial end users. BeagleBoxx: An innovative information, communication- and entertainment service concept that will ”alleviate the wait” and increase patients’ wellness. According to the jury the hospital deserves the price because “the hospital welcomes the patients with sincere interest. In short, hospitality is well-established in mind and heart.” This was reported by our media partner Radio Hoorn. 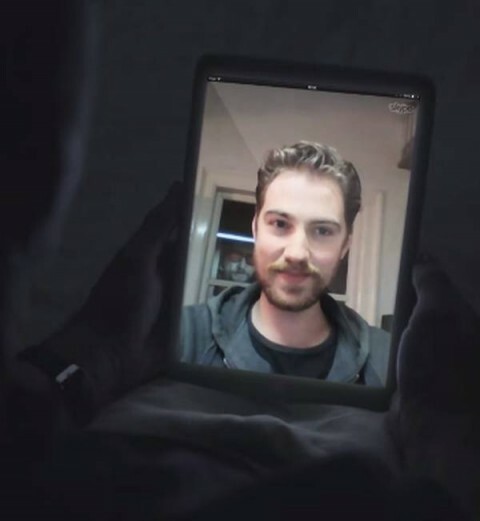 The jury praises the fact, among other things, that the Westfriesgasthuis offers its patients an iPad. In addition, they are very pleased about the cooperation with star chef Ron Blaauw to serve delicious hospital food and to cook with local products.